Building and Strengthening relationships between young and old. Building a solid foundation on which hapū tikanga and kawa could be shared and passed on was the primary goal of the Mihaka, Rikiti, Morehu and Nelson whānau. Key to building their dream was strengthening relationships between kaumatua, pakeke, rangatahi and mokopuna within the larger whānui. “To know where we’ve come from, where we are going and what we stand for was critical to making this dream a reality” says Rehua Mihaka, a key driver of this inspirational whānau plan. “Creating a space where our our elders could connect and share with our young people was vital to ensuring this knowledge was being both cherished and passed on” adds Rehua. 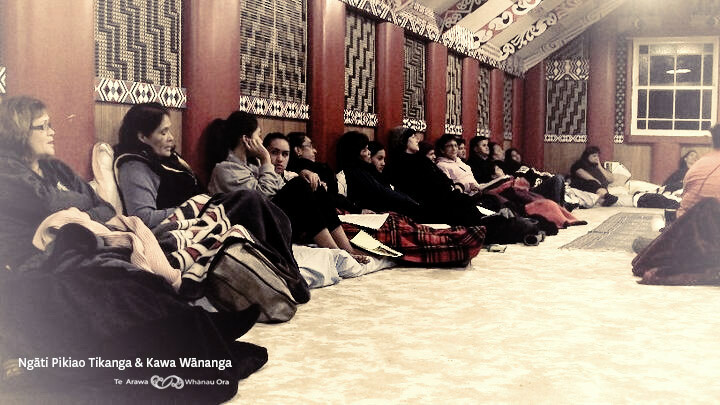 This dream began in 2009 when, Te Putuangaanga Mihaka, an influential leader and advocate for rangatahi, planned a series of Pikiao Iwi wānanga to help strengthen and preserve Pikiaotanga within the Te Arawa rohe. His focus was on retaining whānau traditions and customs, through wānanga that weaved together kōrero (discussions) which focused on history, karakia, waiata and hoe waka.When Putu sadly passed, his great legacy survived and the seeds he had sown grew into a deep desire by his whānau to carry on these tikanga and kawa wānanga. Working with Te Arawa Whanau Ora paearahi, a group of passionate whānau members came together to dream, plan and achieve their goals. The guidance and support of koeke was paramount to the whānau and the first steps towards making this dream a reality involved a series of wānanga seeking their thoughts and asking for direction. As a result three incredible wānanga were held which brought together hundreds of whānau members. The whānau are now stronger and more connected then ever before. Tamariki and rangatahi have gained a deeper appreciation of their kaumatua and the incredible knowledge they possess, while pakeke and koeke have seen how this knowledge has led to a deeper sense of self-confidence and self-respect amongst their young ones. me mihi ka tika ki te hunga e hiki haere ana i wēneki momo wānanga hai kawe i ngā mahi o te hunga kua ngaro i te mata o te whenua ka tahi. ka rua, ki te hunga e taetae atu ana ki ngā wānanga kia ora ai ngā āhuatanga o ngā iwi huri noa. kāre e kore kai te tīramarama mai ngā whetū ki runga i a koutou katoa.